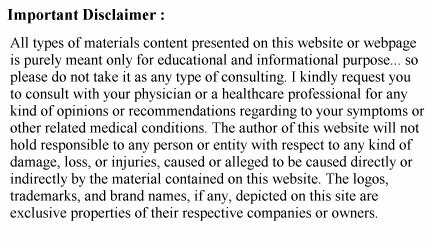 The author of Surgery-Guide.com discloses the fact that this website may contain some endorsements for third party products, and thereby receives compensation for any such endorsements. Such compensation received will not effect or influence the content on this website/blog anyway. Also, that content , advertising space or posts may not always be identified as paid or sponsored content. Also, you must understand the fact that Surgery-Guide.com does not endorse or represent the Accuracyor Reliability of any of the advertisements in this website or the quality of any products advertised, information or other materials displayed, purchased, or obtained by you as a result of an offer in connection with any such advertisements. Although Surgery-Guide.com is willing to present its readers quality products and services, we cannot spend the time to do the due diligence it takes to ensure that only reliable services and products are advertised with us. Surgery-Guide.com hereby encourages you to do your own due diligence before purchasing any product, whether it is offered here or anywhere else for that matter, before purchasing. Use your own judgment and carefully verify with the manufacturer, provider or party in question.